Baby sage (Salvia microphylla): growing, planting, caring. A sage with pretty small leaves. 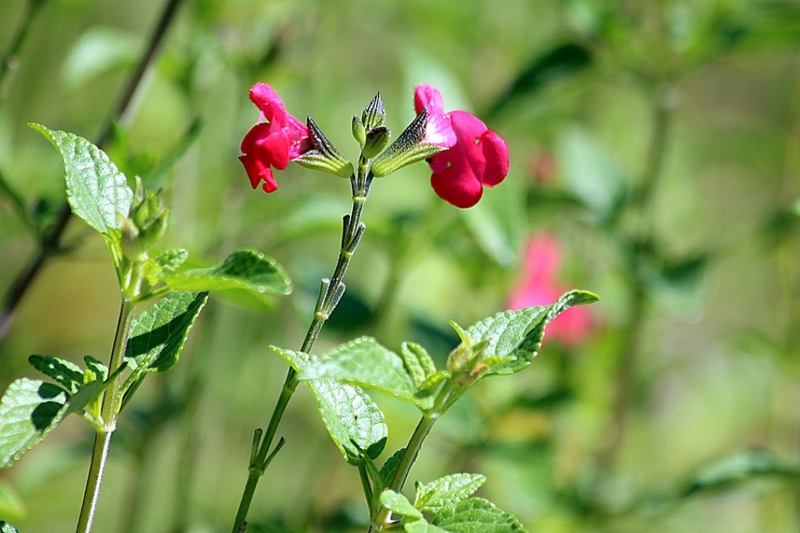 Salvia microphylla - the baby sage, Graham's sage or blackcurrant sage - is an evergreen species of sage, native to southeastern Arizona and Mexico. Despite its origin, it is hardy to -12°C, and appreciates a sunny spot and a light, well drained soil. Many hybrids and cultivars have been brought into horticulture since the 1990s. The specific epithet microphylla, from the Greek, means "small leaved".